Dr. Jane Deng graduated the medical school from the University of California San Francisco School of Medicine and completed both her residency and fellowship program at the University of Michigan Hospitals and Health Centers. She is specialized in pulmonology and board certified in pulmonary disease. 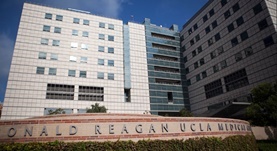 Dr. Deng has been in practice for more than 11 years and is affiliated with the Ronald Reagan UCLA Medical Center. During her career, she has also contributed to several publications of medical interest. Dr. Jane Deng has contributed to 3 publications. Type I IFNs mediate development of postinfluenza bacterial pneumonia in mice. Shahangian, A., Chow, E.K., Tian, X., Kang, J.R., Ghaffari, A., Liu, S.Y., Belperio, J.A., Cheng, G., Deng, J.C.; J Clin Invest. 2009-07-01. Subsequent infections in survivors of sepsis: epidemiology and outcomes. Wang, T.,Derhovanessian, A.,De Cruz, S.,Belperio, J. A.,Deng, J. C.,Hoo, G. S.; J Intensive Care Med. 2013 Jun 12. Hepcidin induction by pathogens and pathogen-derived molecules is strongly dependent on interleukin-6. Rodriguez, R.,Jung, C. L.,Gabayan, V.,Deng, J. C.,Ganz, T.,Nemeth, E.,Bulut, Y.; Infect. Immun.. 2014 Jan 31.